Optimumcut 1D supports both Turn and Tilt saw head orientations, these orientations are commonly known as saw head operating modes. Most double head mitre (miter) saws or cutting-off machines have fixed Turn mode saw heads set to 90 degrees as standard with manual override adjustment available on certain models. Optimumcut 1D supports all of the following cutting example saw head orientations and also supports various non standard combinations. 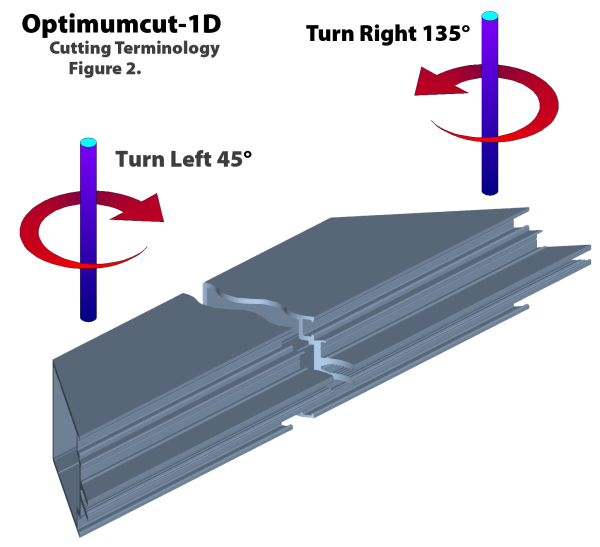 This is a common cutting setting when cutting mullions, transoms and pressure plates on architectural aluminium curtainwall systems, etc. Note: It is also common for modern CNC saw heads to have pneumatically controlled Tilting heads to perform Tilt mode mitre (miter) cuts of 45, 90 and 135 degrees. 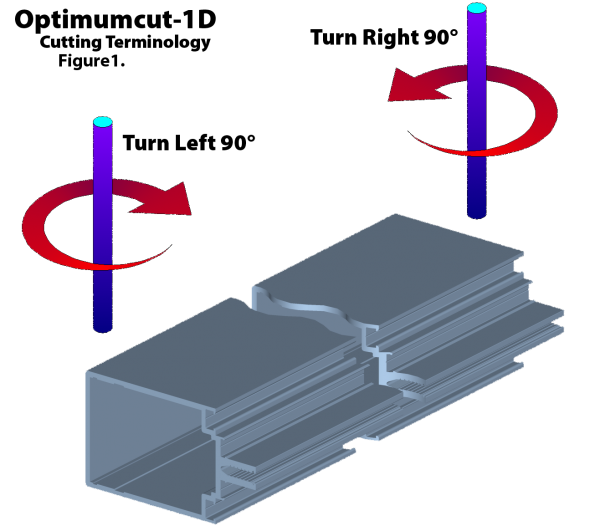 This is a common cutting setting when manufacturing outer frames and vent frames of window systems and door frames and door leaves of door systems, etc. Note: It is common for modern CNC saw heads to have pneumatically controlled Tilting heads to perform Tilt mode mitre (miter) cuts of 45, 90 and 135 degrees. This is an uncommon cutting setting and is mostly used when manufacturing special one-off custom products like curtainwall screens which have complex compound angles within their assembled structures. 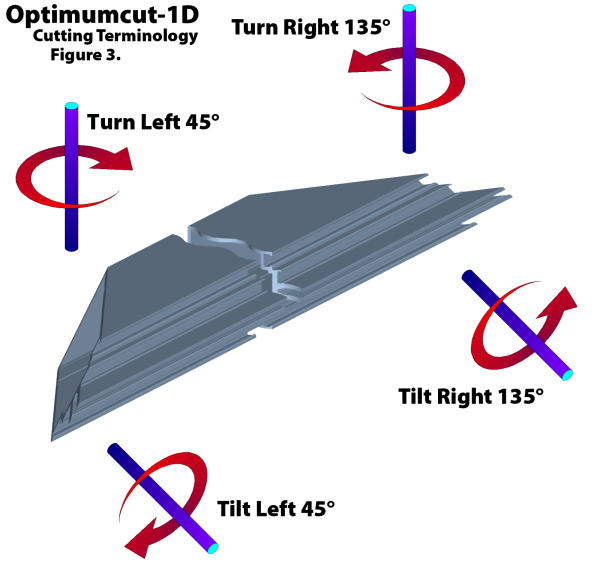 The cutting angles shown in this example are purely displayed for understanding of concept. Each users compound angle settings will be unique to their project. Optimumcut 1D supports all of the aforementioned cutting example saw head orientations and also supports various non standard combinations. It is always important to check your saw’s operational cutting parameters before entering data into Optimumcut.